Lot of sitting around to get this picture, but not a bad place to do it. The guys from the Muraka guest house, on Vaavu Keyodhoo, took us out to see the local wreck, you know – the one off the Allied Insurance adverts. Bit of a scramble to get on top of it, but well worth it as the ocean comes to life all around while the sun sets. Dan watched the birds fishing, and the fish almost got to try ‘birding’ as a passing maakana got embarrasingly disoriented by the drone and almost wiped out (no heron were harmed during the taking of this picture, though one was slightly humiliated – sorry). 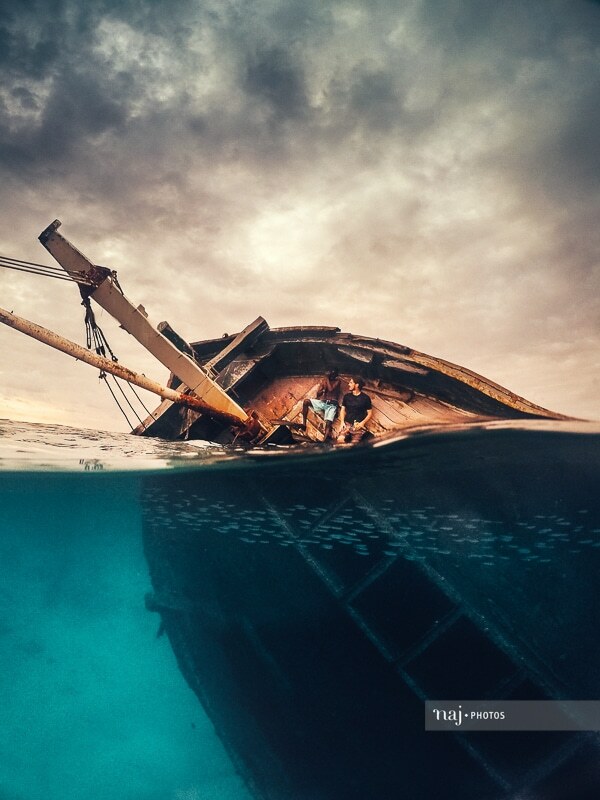 While reflecting on this wreck, we got to thinking about all the other lost ships and stranded foreigners who have collected on these islands over the centuries, and what they’ve left behind; their cultural re-creation, and our cultural recreation.